India is one of the countries with the largest population, so when it comes to cryptocurrencies, the market volume cannot be ignored. A country with more than 1.2 billion people has a lot of potential in making or breaking the market. There are many exchanges in India that are operating at a large scale in cryptocurrency market and one of them is – Zebpay. Based in Ahmedabad, Gujarat, Zebpay was founded by Saurabh Aggarwal, Mahin Gupta and Sandeep Goenka. 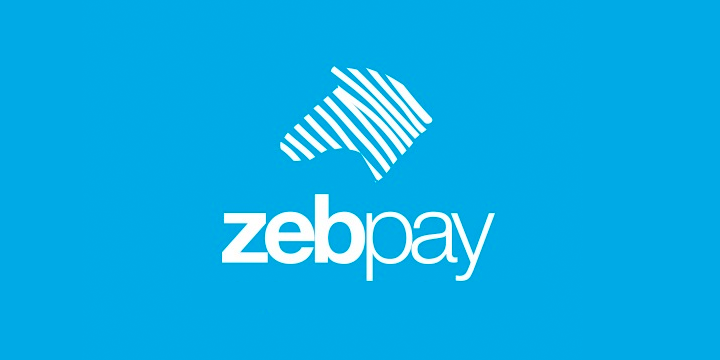 Zebpay was initially named ‘buysellbitco.in’, and Mahin Gupta was its first founder. And it was later changed into Zebpay in 2014, also adding two more partners – Saurabh Aggarwal and Sandeep Goenka. Zebpay became one of the very first exchanges, providing access to people of India to buy or sell Bitcoins. They only have Android and iOS application. Zebpay is also famous for being a wallet. Since its launch, it hasn’t been hacked which makes it one of the most secure platforms to buy or sell cryptocurrencies in India. The app’s security is tight, as they also allow users to enable 2FA (two factor authentication). They provide a private key to all their users, and the sign-up is easy and quick. In case the user loses his private key or pin-code to access Zebpay, he can recover it quickly. Zebpay users have their unique ID that is synced with their mobile devices, but if you lose your device you can still access your cryptocurrencies and prevent them from being lost forever. Zebpay gives the users the freedom to ‘receive’ as many Bitcoins in a day or a week as they want. There is no limit on receiving Bitcoins, there is a limit on sending them however. It is available for Android and iOS mobile devices, which gives the option to the users to use the portal with ease. Zebpay offers one of the best user-experiences among all other Indian cryptocurrency exchanges. It hardly lags or hangs, which makes it one of the most preferred applications on Play Store and iOS App Store. There is an email and SMS communication activated along with Zebpay accounts of the users. Users get alerts on every incoming and outgoing transaction. It is a nice way of ensuring that the transactions made are genuine and authentic. Zebpay also gives an option to users to top-up and recharge their mobile phones using Bitcoin. This is the option that no other exchange provides. The application is not meant for traders. It has a very simple interface which does not have much charts or information. It isn’t meant for seasoned traders, or experts who wish to trade. Zebpay is user-friendly in nature, but does not have much security features. They warn users from sharing their account/profile details online, but apart from that the application is mostly open and users also have an option to ‘remove’ password or pin requirement to login every time. They can remove that feature, and open their account/profile with just one tap on the application icon. Zebpay offers limited cryptocurrencies. Earlier they had only Bitcoin, but now they have Ripple, Ethereum, Bitcoin Cash and Litecoin too. But apart from these four, there are no other cryptocurrencies or ICOs available to trade. The fees that is charged from the users is very high! They follow a maker-taker model just like Poloniex, but their fee payments are huge. They charge 0.59% (almost 0.6%) from makers (who make the order to buy crypto-assets), and they take 1.18% from takers (who make sell-orders for their crypto-assets). Sometimes, the deposits take a lot longer. If you want to make instant transfer to your account to make instant purchase, you cannot do that on Zebpay! Bank transfers take longer than debit or credit card transfers (which are quicker), since they do not have that option for users, the users only have to wait. Sometimes it takes a couple of days to get the transaction approved and the money to reflect in your account. Zebpay offers a high fees structure for its users. Zebpay fees is one of the most debatable issues on online forums and communities, but they continue to charge the exorbitant prices from their users. They follow a maker-taker model like Poloniex. They charge 0.59% (almost 0.6%) from makers (people who ‘bid’ or buy cryptocurrencies), and from takers they charge almost 1.18% fees (people who place ‘bid’ orders, or sell their cryptocurrencies). There are deposit and withdrawal limits set on their application, both for fiat currency as well as cryptocurrency. For deposits, the minimum limit is INR 2500 for payment gateways and INR 10,000 for normal transfers per transaction. While in one day, the minimum deposit limit is INR 5 lac (INR 0.5 million) for payment gateway and INR 1 crore (INR 10 million) for normal transfer. For withdrawals, their limit is INR 50 lacs (INR 5 million) for basic verification and INR 1 crore (INR 10 million) for enhanced verification. Signing up or creating an account on Zebpay is very easy. It takes hardly a couple of minutes to do so. Users only need a valid email ID, and a phone number to register for an account. They can verify their accounts in four steps – first by verifying their email ID, through a verification link that they will send. Second is by linking their bank accounts with their Zebpay accounts. To do that, users need to upload their account information. Third step is to upload PAN Card and last step is to upload Aadhar Card (government issued ID). Once all these documents are uploaded, the ID gets ‘enhanced verified’ status, which provides the users a good limit to trade in, or a higher cap to buy or sell crypto-assets. Customer Support of Zebpay is lagging in many aspects. They do not have live chat option. They do have a knowledge-base section with many FAQs, but that is not enough. If the users do not find their queries in the FAQ section, they need to raise a ticket. You will get immediate response from them with a case number and ticket ID, but the issue might take days to resolve. They need to work a lot on improving their customer service and need to resolve the issues faster.